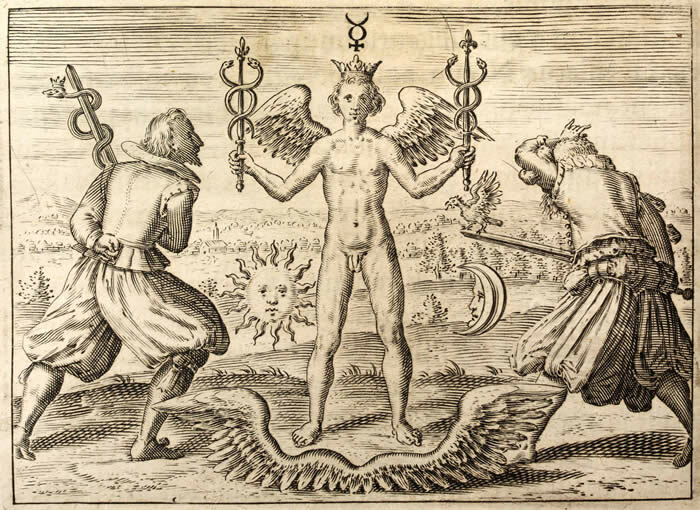 Poison supports medicine and resistance forges what is good to take a clear shape, light comes from darkness and the river of Dão is constantly flowing with and against to maintain the greater cosmic harmony of flux and movement. As our hand of restraint set limits in our life – either for ourselves or for others – and our right hand gives and bless in abundance, in such way we replicate the cosmic experience and its flux it be daybreak or full moon, new moon or the sojourn of the Sun to the Halls of Death. The exhalation is life and it is supported by the inhalation and death. Contrast is the cosmic experience and this also takes place in our lives – the problematic issue is when we get too obsessed with defining qualities to what emerges in the experience of being. Recognition of blessings is good – but so is the recognition of antagonism because this supports our blessings. In this lies mystery upon mystery. If we accept this dynamic we will also become aware of God’s signposts as we are triggering our own self disclosure and becomes the signposts... We will realize that the master and the misguider, the friend and the enemy are solely appearances in the field of experience that forges your good and blessed self to emerge in the splendor of light – or perish in the night of forgetfulness…. All this and more is encoded in the saying; “May the Blessing, Curse and Cunning be…"
I have for years been taken in with Ibn Al Arabi’s disclosure of wujud, that something appears qualified in existence - and the cosmic experience of being and his discourse about ‘waymarks’ mirrored against the 28 letters and lunar mansions. In his Meccan Revelations it is especially one passage (22:32) where the Shaykh speaks of how we can magnifies God’s waymarks on the horizon by we ourselves signifying God’s knowledge. In this we find the importance of being weary of this fact or not. He speaks of Self-Disclosure and this is presented in a dialectic of a hermeneutic nature that lead to one of the more provocative tenants in Ibn Al Arabi’s thinking, namely how Iblis is the divine potency of limitations and restraint that affirms the divine. In this field, we find pure experience of being – and in this we find obstacles and signposts that affirms or challenge al-Haqq, the truth in its play upon wujud. 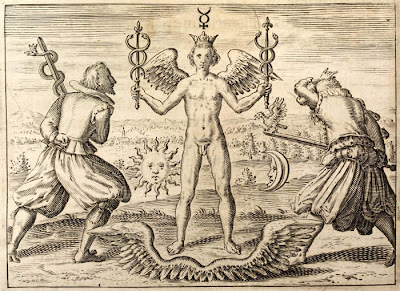 This is a cosmic truth found in this that are represented by tamasic left hand and the rajasic right hand that supports equilibrium, like the serpents on the caduceus of Hermes and Asclepius.